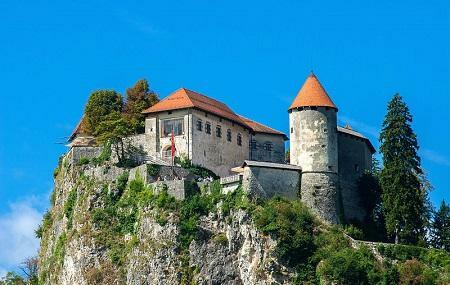 The pride of Bled- Bled castle is one of the most frequented destinations in the city. It belongs to the medieval period and has been built upon a precipice at the elevated heights of the city. The place provides a panoramic view of the Lake and surrounding, making it a hotspot for anyone who desires to witness the nature’s beauty in its true form. As with all the castles, Bled Castle too had a history. It was first given away in the late 11th century as a deed of donation by the emperor Henry II and later on passed on to the Austrian House of Habsburg in the 12th century. The entire structure, with its ramparts, moats, and towers, ensembles a magnificent stature among tourists who come here enticed by the history and glory of its long forgone legacy. The highlight though is its museum which is decked with plenty of items and artifacts that pleasantly bespeaks of the various aspects of the city. A must come for history lovers!